Allow users to keep their local files, settings and personalizations in the new OS environment - dramatically reducing the strain on your department. 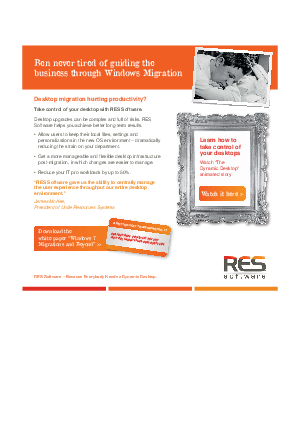 Get a more manageable and flexible desktop infrastructure post-migration, in which changes are easier to manage. Reduce your IT pro workloads by up to 50%.